Jerusalem, ALRAY -- USAID’s abrupt decision to end all of their West Bank/Gaza programming by January 31, 2019 means that ANERA’s Palestinian Community Infrastructure Development (PCID) program will be ending 11 months earlier than scheduled and over 100,000 Palestinians could be deprived of promised access to safe water, health facilities, education and playgrounds. This decision also puts on hold a 40-plus-year partnership between ANERA and USAID. ANERA’s USAID-funded PCID program has six community infrastructure projects underway in the West Bank and Gaza and, with programming unexpectedly due to halt at the end of January, only one will likely reach full completion. ANERA had also planned, pending funding approval, three additional projects in Gaza to meet emergency needs. 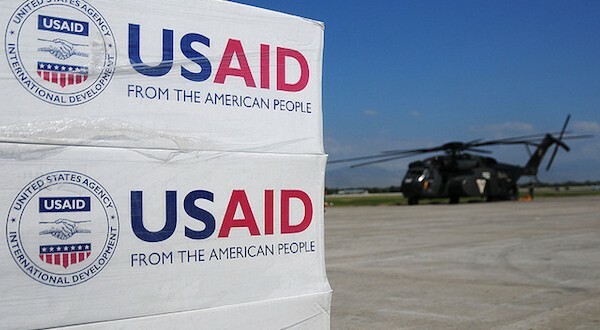 The organization is currently negotiating with USAID for time to complete all six ongoing projects and advocating for time to start and complete the three pending Gaza projects. The cuts will also force ANERA to lay off two-thirds of its staff and close two of its offices in Palestine. Non-USAID programs will continue as planned, with funding from institutional and individual donors. ANERA will still build schools, install water networks, provide medicines to charitable clinics, foster women’s economic empowerment, and help small family farmers. However, the end of ANERA’s larger USAID-funded infrastructure projects in Palestine will cut off thousands of people living in vulnerable conditions from life-changing interventions. The nine USAID projects combined, for instance, would provide more than 114,000 people with access to safe water, education, health services and a playground for Gaza’s children. “We don’t want any of these projects stranded and incomplete,” says ANERA President Sean Carroll. ANERA is currently working with other donors to fund the completion of these projects, but it is hard to replace the larger-scale funding we received from USAID. The closing of USAID’s mission in Palestine ends a productive relationship that stretches back to the 1970s. ANERA and USAID have worked very successfully together to provide relief as well as sustainable, long-term health, education, and economic development in vulnerable Palestinian communities across the region and in the West Bank and Gaza.